Here’s something you might not have seen before, and pre-schools, kindergartens and learning centres are going crazy for them! One of our most popular products right now is our permanent and innovative umbrella structures, which we call Architectural Umbrellas. 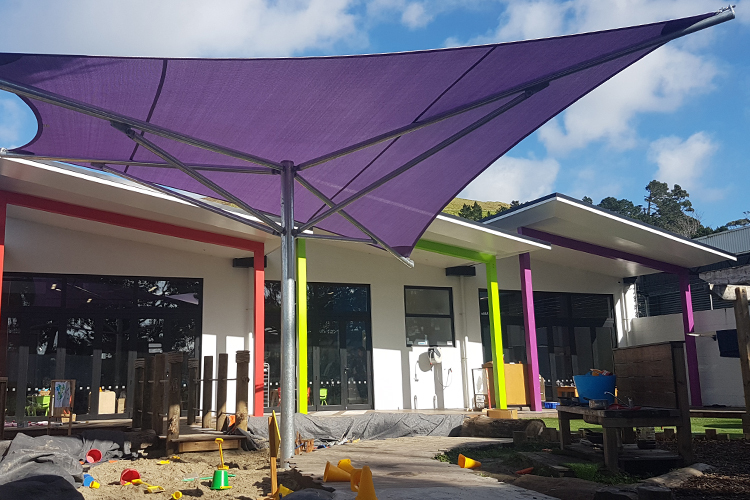 These high quality, cost-effective shade structures are cleverly designed and engineered so that only one post is required, while still providing a large amount of shade (up to 12m spans!). Optional extras such as clear side screens and spouting can be added to the centre post option to create a fully enclosed room. Year-round protection from the sun, wind and rain – no wonder they are getting so much attention.